This badge was issued to Robert Andrews on 01 May 2018. 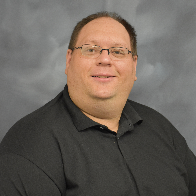 The IBM Volunteer Excellence Award program annually recognizes individual and team volunteers who best exemplify the IBM values of dedication, innovation and trust in their volunteer work with schools and not-for-profit organizations. The President and CEO reviews and approves the selection of the award recipients. 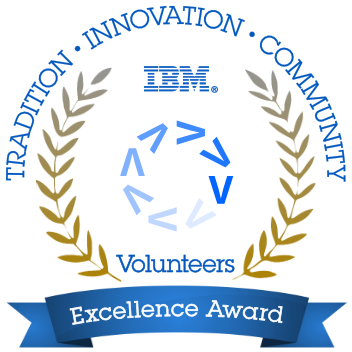 Only IBM employees are eligible to receive an IBM Volunteer Excellence Award. Award recipients are evaluated based on their overall commitment and service as part of their volunteerism, including: The impact of the volunteer project to the organization and/or community; Leveraging of IBM resources in supporting project success; Establishing outcomes and measurements that show success for the project; Providing evidence to ensure sustainability of the project. This is a highly prestigious award and reflects the "best of the best" within the IBM Volunteers Program. The volunteer's relationship with the not-for-profit organization. This includes providing evidence of following: How long have they been involved with the organization? How did volunteer get involved; Describe the impact of their skills-based volunteerism on the organization; How/why was it unique, innovative or creative to the organization and the problem they were trying to solve? The volunteer's ability to establish outcomes or measurements that show the project’s success. Evidence of these outcomes/measurements is required. The volunteer's ability to establish steps/processes to ensure the sustainability and/or repeatability of the efforts of this project. Evidence of these existing processes is required.